This young patient had a congenitally missing lateral incisor on the left side and a “peg” lateral incisor on the right side. 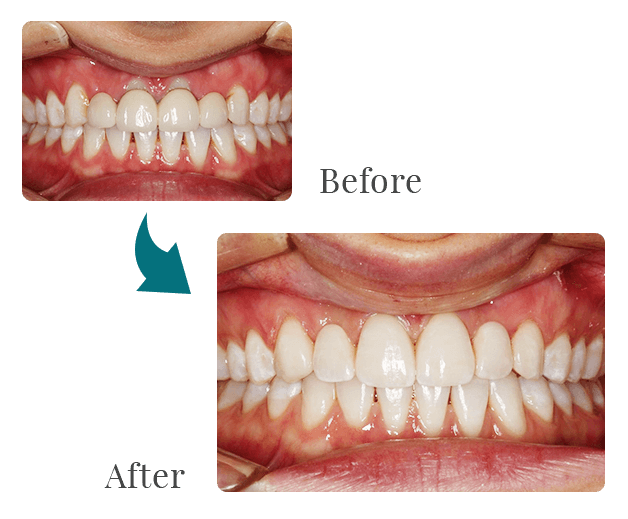 Orthodontic treatment was done to create space. The missing tooth was replaced with a bonded bridge, and the very small peg lateral enlarged by placing a resin veneer.When this patient becomes an adult, if needed, we may look at a possible implant/crown to replace the missing tooth, and a porcelain veneer for the Peg lateral incisor. This this patient had two congenitally missing lateral incisors. She went overseas and had her two front teeth crowned in order to have the two lateral incisors replaced. Implants would have been a better choice at the time. Eight years later she was not very happy with the appearance. After some discussion about options, it was decided to replace the bridge with two separate bridges made from Zirconia layered carefully with aesthetic porcelains by Core Dental Laboratory here in Perth. This young patient had fractured her teeth many years ago andhad been repaired a number of times. 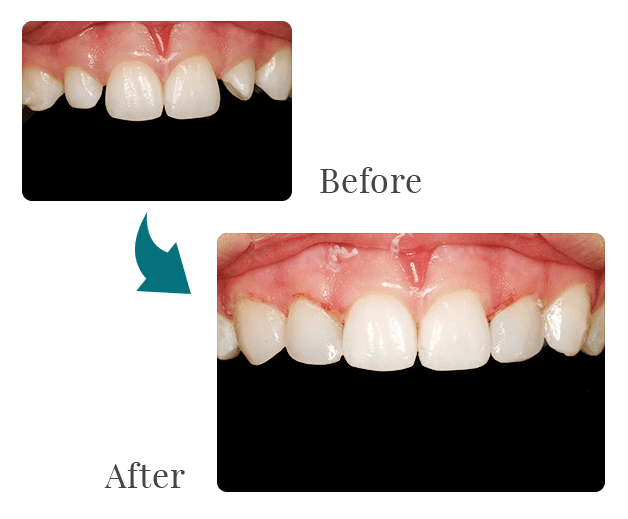 A bonded ceramic crown was placed on one tooth and a bonded ceramic veneer on the other (can you tell which is which? ).The ceramic used on this occasion was “Emax”The smaller incisor to the right (lateral incisor) had some subtle resin bonding done as the edge had worn down due to tooth grinding. This patient had heavily worn teeth. 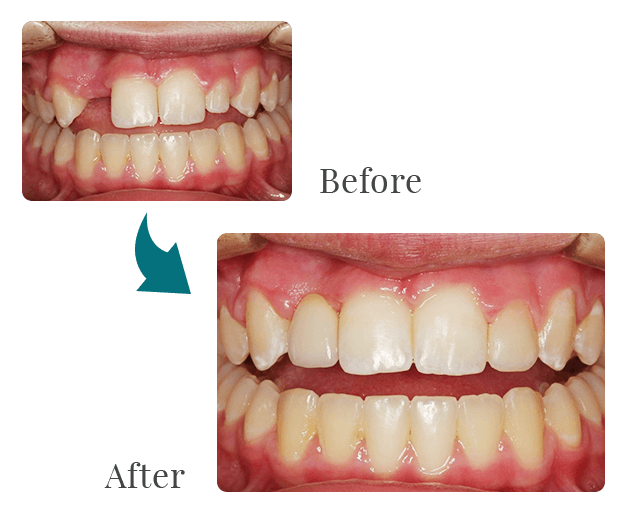 We had to carry out orthodontic treatment first to make room to fix them. As teeth wear, they usually continue to erupt to compensate and close the space caused by wear.The buildupwas all done in composite resin.Please excuse the quality of the photos! We did this years ago when we were still getting used to our camera. 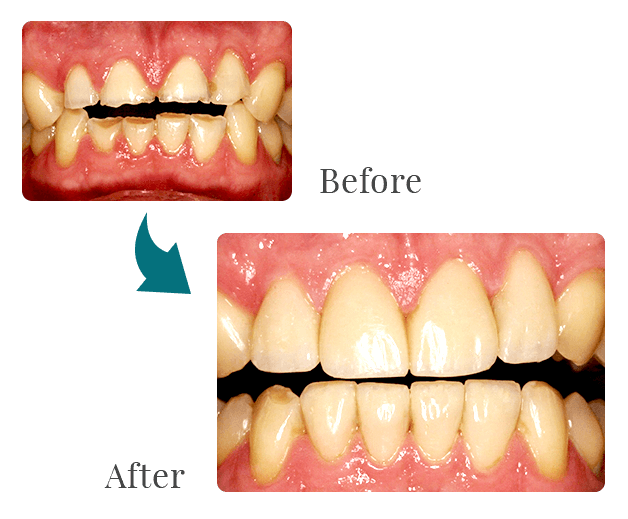 Teeth had worn and yellowed over the years due to tooth grinding (Bruxism). 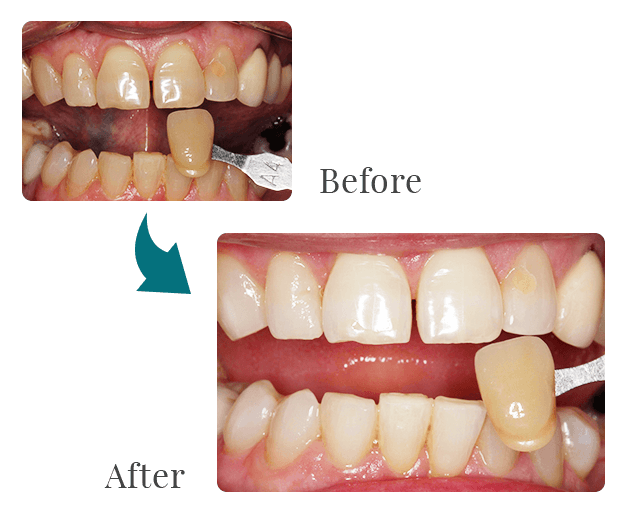 After whitening the teeth, composite resin was bonded directly to the teeth to put back what was lost due to the wear. No drilling and no needles! This patient’s small teeth gave her smile an unusual look. The gaps between the teeth also tended to trap food, making her self-conscious. 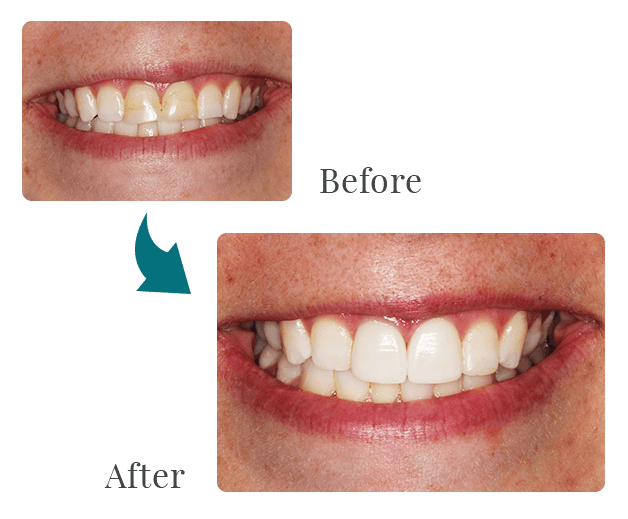 Using two porcelain veneers, we were able to completely transform the appearance of her smile, and now she shows it off with confidence! 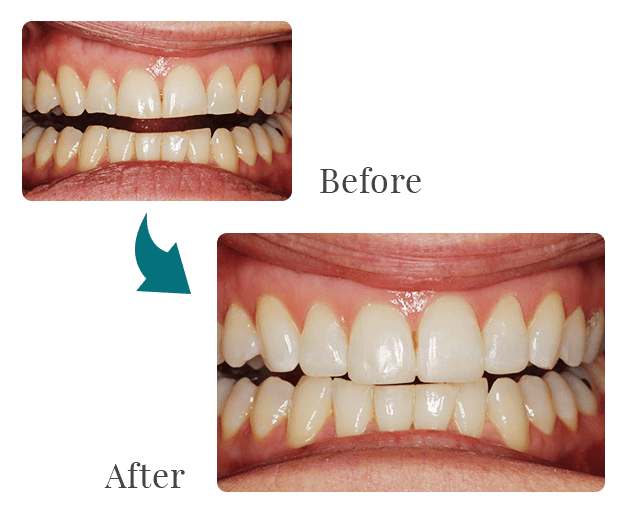 The whitening of this patient’s teeth was achieved with KOR whitening kit in less than twoweeks. This particular patient did not wish to go too white.